Fenwick silenced their doubters last season to reclaim the girls' state title with wins over H-F, Mother McAuley, and Stevenson in May. Will the Friars continue to excel in 2012 as they look to defend their title against a plethora of title contenders? There are several challengers looking for a shot at the top spot in the state, so expect an exciting year of water polo on the girls' side of things this year. Now that is how you rebuild! Fenwick didn't start the 2011 season as the favorites to win the state title, but they received a huge boost from three highly talented freshmen in their title-winning campaign (Alexa Ovalle, Cara Borkovec, Colleen Barron). That also means that the Friars will be a force to be reckoned with for several years to come, starting with their first title defense in 2012. Also returning for Fenwick is one of the state's top goaltenders (Mackenzie Bonk) and several talented players (Maureen Barron, Haley Wickham, Paige Kohut) that will fill out the starting lineup and the scoresheet for head coach Jack Wagner. Can the Redhawks bounce back from a surprise state quarterfinal loss to Stevenson last May? That will be the big question for Central as the season begins, as the ultra-talented trio of Abbey Kerth, Emily Sejna, and goalie Julia Campbell will look to lead the team to their first-ever state title in 2012. Madison Nervig emerged a solid scoring option for the Redhawks' offense late in the 2011 season, so her production should increase as opposing defenses look to shut down Kerth and Sejna. The Redhawks have plenty of depth; the key will be finding the right mix of players to fill out the starting lineup for head coach Jeff Plackett as the season progresses. 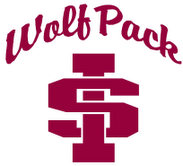 The Wolfpack always seem to be knocking at the doorstep for a state title; they finished second to Lyons two years ago and ended last season with a third place trophy. Can they stake their claim for the big prize in 2012? The team returns four starters and nearly their entire bench, including promising sophomores Maggie Maloney and Rebecca Martinez. The offense will rely mostly on junior Becky Insalaco and senior Stephanie Fernandez, while sophomore Tammy Stelnicki will try to make up for the loss of production from her sister Katie, the team's leading scorer last season. Kate Murphy also returns to mind the nets for head coach Mike Cashman's squad. The Vikings finished just a few goals shy of beating Fenwick in the state quarterfinals for the second straight year in 2011, so they should have plenty of motivation to return to state and take care of business in 2012. Their top offensive weapon (Rebecca Mathews) is back to lead the way for head coach Pat Duignan, while Tess Adamonis and Anna Tenny will likely be counted on to replace the loss of Hannah Ongman and Michelle Mayer. Anna Shirer takes over in goal, while a list of returning players that includes Annie Schloen and Lauren Gallagher hope to make an immediate impact for H-F. The Mighty Macs return five starters and their leading scorer off the bench from a team that ended up in fourth place at the state tournament last May, so head coach Vanessa Carroll is likely thinking of even bigger things for her squad in 2012. Their highly-talented leading scorer, Vicky Arciniega, is back, as is playmaker Adrianna Izquierdo, who scored the game-winning goal against Fremd in last year's state quarterfinal win. Clare Bryar made a huge impact in the starting lineup as a freshman last year and will likely play a key role once again, while the junior duo of Amy Kopale and Kristen Kleist should have no trouble finding the back of the net for a loaded and talented team. The Mighty Macs will also rely on junior goalie Sarah Abbott to lead the defense, as she came on strong in the second half of the last campaign to help McAuley knock off Lyons in the sectional finals in 2011. The Patriots postseason run in 2011 showed that they should never be taken lightly, as they beat Mundelein, Naperville Central, AND St Ignatius en route to a second place finish last season. In order to repeat their success, however, they will need to replace their top two scorers from last season. While returning players like Erin McCook, Cami Haas, and Tori St John look to play an even greater role for head coach Jeff Wimer's team in 2012, the Patriots will rely on top goalie Lisa Michalowski to keep their opponents off the scoreboard as much as possible, just as she did so successfully during the playoffs last year. Claire Moschovas and Brittany Gartenberg lead a long list of players with potential who could make an impact for Stevenson this year. The Vikings are another team with plenty of returning players they can depend on, including their top two scorers (Sam Matuszewski, Sam del Prado). They also bring back their always-dependable goalie Julie Conrath and solid experience with seniors Emily McCarthy and Lauren Zambelli back in the fold. The key for new head coach Ray Roth will be finding replacements for the versatile Megan Kennedy and defender Emily Orlowski, who both were lost to graduation after last season. Meanwhile, Amy McEllen heads a group of talented seniors who await their chance to make an impact for the defending MSL champs. The Ramblers tend to reload more than they need to rebuild, with several talented youngsters expected to step right into the starting lineup for a team that lost several seniors from a state-qualifying team. Evan Swenson will be the main point of attack for the Ramblers' offense, while Allison Sajnaj and Emily Levison are both expected to make an impact on the scoresheet this season. Marta Considine should also see an increased role in Rich Schici's lineup, while Meredith O'Brien has showed plenty of promise as she takes over in goal for Kristina Alexander. Lyons felt the sting of losing several seniors after their perfect season in 2010, as they fell to Mother McAuley in the sectional finals last season. Things look much brighter for the Lions in 2012, however, starting with the return of their top two playmakers and scorers, Kirby Kaptur and Lizzy Kosin. Second-year head coach Derrick Brace can also rely on the experience of returning seniors Carrie Nacht, Claire Curran, and Sam Patel, while juniors Blair Hopwood and Carly Strass could also play valuable minutes for LT. Brace will also seek to find a permanent replacement for goalie Grace Trilla, with juniors Elly Vitek and Meghan Wonderling possibly vying for the starting netminder role. The Eagles are loaded and ready to go in 2012, with nearly everyone returning to the starting lineup from the previous season. Jamie Pappanastos and Tara Capouch should be the offensive leaders for a team that finished 21-9 and gave Mother McAuley a run for their money in the sectional quarterfinals last season. The major addition to the lineup is junior goalie Alona King, an aggressive netminder who should step right into the starting role with ease after a terrific offseaon. Sandburg head coach Jane Caliendo also expects major contributions from players Brittany Kamper, Cara Hays, and Julie Jenkot among others this year. New Trier has plenty of reasons to be optimistic about the upcoming 2012 season. The Trevians return two of their top three scorers from the previous campaign with Erika Nothnagel and Isabelle Baneaux back in the fold. Meanwhile, head coach Matt Wendt will look to junior Alexana Astor and senior Jocelyn Kupets to increase their production on the offensive end. Nothnagel will also lead the defense in front of new goaltender Hannah Caywood, a junior looking to make a smooth transition from the field to goal as quickly as possible to help New Trier defend their CSL title and compete for a state tournament berth. The Huskies might be one of the most dangerous teams to face in 2012. They quietly amassed 19 wins in the previous campaign and return several reliable offensive weapons with Audrey Chien, Sofi Prorok, and Taylor Bridgman all ready to make an even bigger impact for head coach Andy McWhirter's squad. Jessie Lietz leads a pack of talented scoring options for the Huskies, which includes Adrienne Jamieson, Emily Ault, Grace Culver, and Meghan Anderson. Meanwhile, sophomore Kate McDuff is expected to fill the starting goaltender role vacated by seniors Emma Ryan and Lauren Kroma. The Mustangs face the difficult task of replacing three top players on both ends of the pool from the past several seasons. The rebuilding process shouldn't take long, however, as Drew Schneider will look to the experienced Amy Klink and talented sophomore Karrie Kozokar to pick up the scoring slack for a Mustangs team chomping at the bit to get back to the state tournament after last year's loss to rivals Stevenson at the VH Sectional. Michelle Barron takes over in goal for long-time starter Emily Tylka, while a strong supporting cast that includes Alyssa Garcia, Amanda Boothe, Hannah Davidson, and Megan Casali should supply increased production for a team that won 23 games in 2011. The Red Jaguars return the majority of their squad from 2011 that won 20-plus games and were left just one win shy of their first-ever state tournament berth. They should be ready to take another shot at the highly-coveted state appearance with seniors Emma Martinus and Nora Plank providing plenty of offensive firepower. Sophomore Hannah Schultz should be even better after getting a year of varsity experience under her belt, while the defense should once again be solid with Lauren Stryzek, Hannah Egan, and goalie Vasi Vasilopoulos returning for the Red Jaguars. The Knights spent the 2011 season and offseason trying to find the right mix of players to build around talented playmaker Danijela Jackovich. They might be ready to put it all together in 2012, as players like Ashley Dhooghe and Liz Klock could have an immediate impact in the starting lineup for LWC. 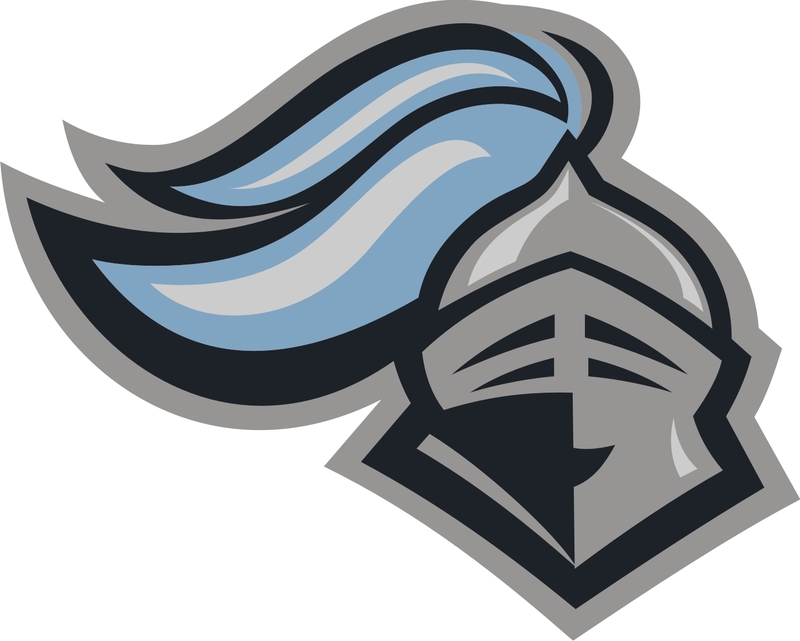 Head coach Karen Desruisseaux will also count on the vastly-improved Caroline Foglton to hold things down on the defensive end for the Knights. The Wildkits face the difficult task of replacing their top offensive and defensive players from last year's team, but a hard-working bunch of talented players could have Evanston competing for both the CSL crown and a state berth by season's end. Yasi Nassiri and Robyn Bastian should both provide a major increase in production for head coach Claire Howie, while Natasha Chastang is among several dependable players expected to fill out the starting lineup in 2012. The Indians went an amazing 27-3 and advanced to the finals of the UIC Sectional last season. They could be even better in 2012, as Cassidy O'Connell returns to lead the offense and is joined by sister Natalie, Hannah Viti, and Megan DeGuzman. The big key for Corinne Ulmer's team will be finding an apt replacement for goalie Ashley McGhee, a major difference-maker for the Indians during last season's run. The Saxons continue their upward rise in the rankings as the 2012 season gets underway. The duo of Ashley Johnson and Kristy Bessler will provide the type of offensive punch that could see Schaumburg compete for both the MSL title and a first-ever state tournament berth this year. Corinne Trujillo leads a solid group of experienced starters that could give head coach Beth Donatucci's squad the right balance to improve on a 17-win season, while Jessica Sumsky will be expected to step into the starting spot in goal to help spearhead the defense. The Fillies ended the previous season on a major tear, advancing all the way to the sectional finals before bowing out to eventual champions Fremd. With several talented starters returning, the Fillies will look to pick up where they left off in 2012. Barrington is loaded with scorers and playmakers, led by Catherine Byron, while Brooke Fanslow should be a force to be reckoned with in goal for Mark Markwell's squad. The T-Bolts lost a handful of seniors from last season's SWSC Red title-winning team, yet they still shouldn't lose a step in 2012. Abigail Wrobel, Lindsey Tamulonis, and Rachel Fus should lead a balanced offensive attack for head coach Mike Kuziel, while sophomore Megan Hoffer should play an even bigger role after playing valuable minutes in her inaugural season with the varsity. It always helps to have a ton of experience returning in goal, which Andrew has with solid netminder Jordan Bartolini back between the posts to lead the defense. With the loss of twelve seniors, the Knights face the difficult task of trying to rebuild and compete in the MSL and beyond at the same time. With both Jessica Cavaiani and Kallie Shields returning, however, it might not be out of the question for the squad to try and reach the 20-plus win total they reached last season. They will be joined by Mary Schaivone, Jenna Gartz, and new goalie Amanda Drucker as the team attempts to remain atop the MSL East in 2012. The Wildcats face the always difficult task of replacing five starters to graduation. However, they return their leading scorer (Leah Malsom) and will also look to senior Heather Murphy to play an increased role on the offensive end. The major questions for head coach Bob Savitt will be to find a replacement for goalie Haylie Moeller and to find the right mix of players to fill out the starting lineup as the team fights for an MSL East title and more in 2012. The Wildcats are a young but talented bunch that should be much more dangerous towards the end of the season. Senior goalscorer Tara Blanzy provides the most experience for head coach Lucy Tiffin's squad, which is chock full of juniors and sophomores ready to make a major impact this season. Both Brooke Bedford and Emma Bollinger played valuable minutes last season and should provide a consistent scoring punch, while goalie Jess Marone will be counted on to hold things down on the defensive end. The Lions lost the majority of their starting lineup to graduation, but leading scorer Eileen Mallof is back in the fold and should be ready to continue carrying the bulk of the offensive load for head coach Adam Clementi's squad. Ashley Herzteldt takes over in goal for Viator, while the team will look to senior Libby Burkman for experience and several other younger players to make an immediate impact in 2012. The Mustangs break into the Top 25 for the first time in their short history, in large part due to the return of potent duo Lizzie Hollopeter and Mia Palladino. The pair are joined by a solid returning cast of players that earned valuable experience and helped the team finish .500 in the regular season in 2011. If the team continues their upward trajectory this year, they just might be a force to be reckoned within their area and then some. Illpolo.com - Celebrating 10 Years Online!